Centric Engineers mechanical services team delivered D&C design and documentation of the new Coles supermarket and Liqourland store located within Wentworth Point’s new shopping centre “Marina Square”. 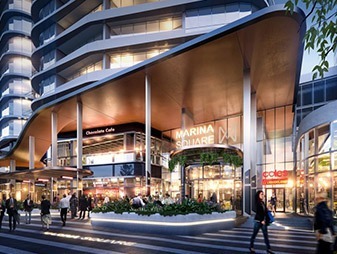 Marina Square’s retail precinct will be a vibrant new community hub in the Wentworth Point area. New mixed use development will be accommodating a major Coles supermarket, produce stores, bakeries, baristas, chic small bars with residential towers above.